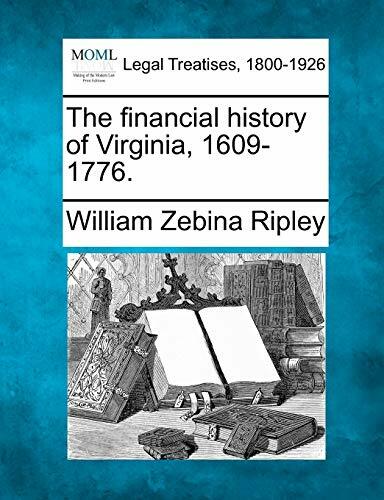 William Zebina Ripley The financial history of Virginia, 1609-1776. The financial history of Virginia, 1609-1776. Published also as thesis (Ph. D.)--Columbia University. New York : Columbia University, 1893. 170 p. ; 23 cm. Ripley was Nathaniel Ropes Professor of Economics at Harvard University. 2. 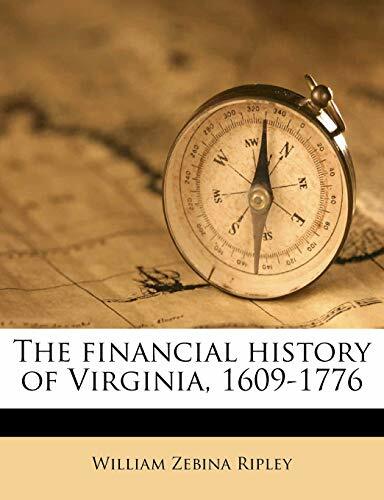 The Financial History of Virginia, 1609-1776. 4. The financial history of Virginia, 1609-1776. 5. 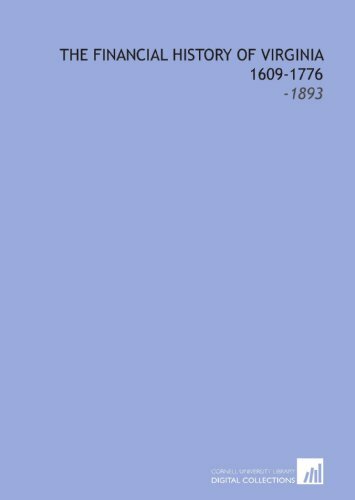 The financial history of Virginia, 1609-1776. 6. The Financial History of Virginia, 1609-1776. 7. The financial history of Virginia, 1609-1776. 8. 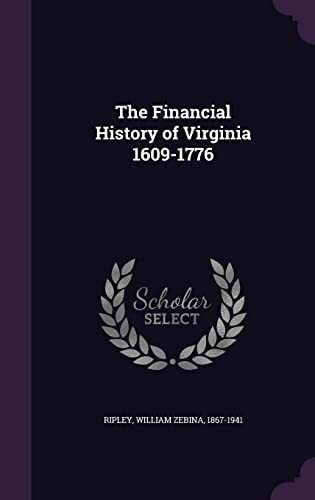 The financial history of Virginia, 1609-1776.